We think that sometimes a sample is worth a thousand pictures! Come by the shop/office and take a look at the various samples we have on display. You’re welcome take home samples of different colors and profiles. Used primarily as residential lawn edging, when a simple but functional barrier is desired. Low-profile and inconspicuous, provides a great accent to any yard. If you use a riding lawn mower or lawn tractor, this is the preferred product. Used primarily for residential landscaping for a neutral border between bedding materials. Commonly used as a driveway border, and can be “tacked on” with epoxy and/or vertical steel dowels. Used primarily as a commercial tack on (attached to existing asphalt) curb. 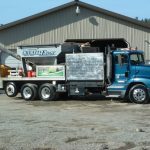 Can also be used as a heavy barrier in residential driveways where lots of traffic is expected, or for water control on any substrate due to its size. Product can be doweled with steel vertically to add more strength. 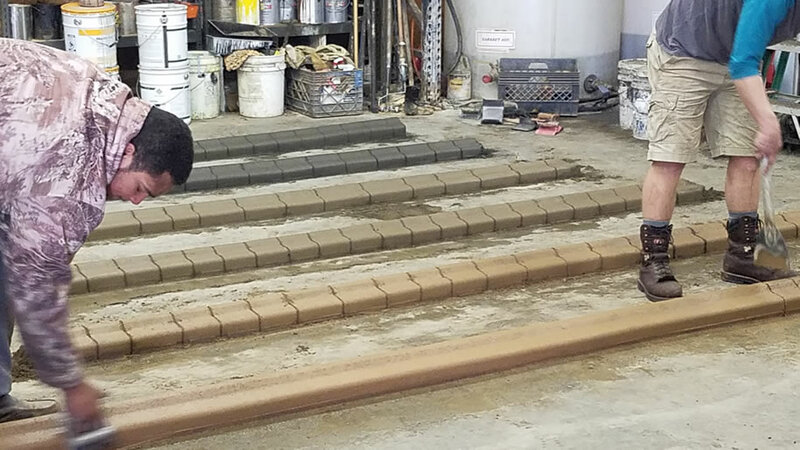 Large curb, for your big projects such as commercial applications. Used primarily for residential landscaping as a neutral border. Shows up less in the yard, and doesn’t become overbearing to the landscape. Used primarily for large landscape projects, with plenty of room between beds and sizable maintenance equipment. This new high profile edging is ideal for use with various finishes and colors, as so much of the curb is in view. We can also help you to custom design any shape you need for your project! Note: a custom mold head can take up to 3 weeks to produce. so you’ll want to allow plenty of time. 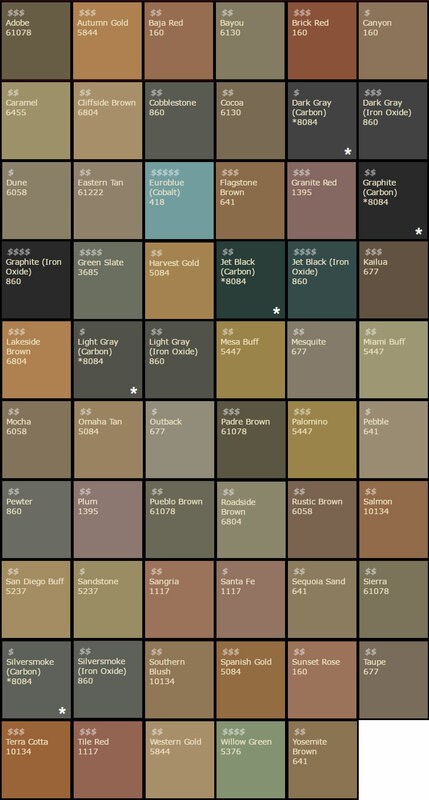 Creative Edge uses the Davis Concrete Coloring system, illustrated below, to provide you with a wide range of available colors.